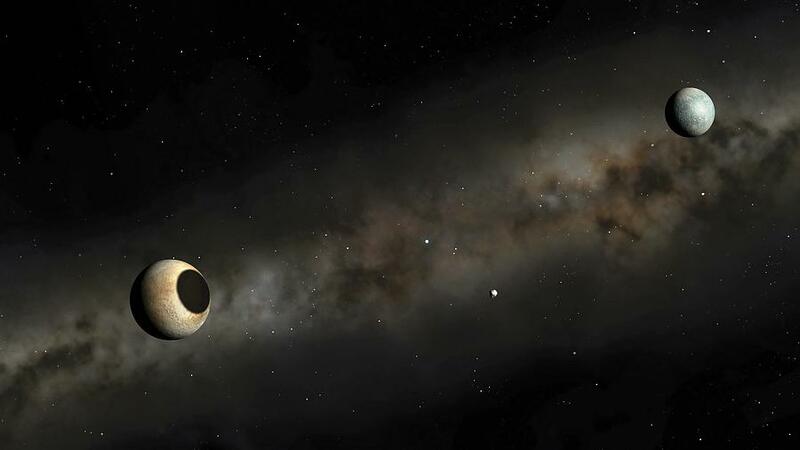 On April 20th, Pluto will start moving backwards in the sky. When a planet does this, it means that is going in retrograde motion. It is not really travelling backwards, but it appears to be because of the motion of the earth. There has always been a big significance to retrogrades and especially the retrograde movements of the outer planets because their influence tends to last a long time. This particular Pluto retrograde lasts until September 28th 2017. Depending on what sign you are you may find yourself feeling like you are out of control or like you have no control over your events. Many of the signs may also find major relationships rupturing, especially relationships between children and parents. If there is any co-dependency or addiction in your life, you may find yourself or a partner hitting rock bottom of some sort over the next six months. Often, the source of the addiction or psychological disorder is in childhood and psychotherapy or recovery of some kind is needed to get to the bottom of what caused the problem in the first place. When Pluto goes retrograde, almost everyone takes some kind of “journey into the dark” to confront their personal shadow. For some, it means reconciliation, the need to understand different points of view, or an inner need to expand one’s consciousnesses. Rams are experiencing the initiation of this retrograde in their birth month, so they will be among the signs hardest hit by the effects of the Pluto retrograde. It is likely that there will be some kind of spirited disagreement between the Ram and family members. Sibling rivalry or jealousy will play a part in how this will all play out. Taurus is an earth sign and they will be hit quite hard by this retrograde. It could be family members will not find time to themselves to communicate with each other. Disputes are likely to be about money or property. The Bull’s sense of identity may also suddenly be transformed for the better. A new relationship is very likely for this sign that could experience a new freedom and sexual awakening. This Pluto retrograde might give the Twins a bit of a break and allow them to slow down and take care of their health. The Gemini may find technology sadly lacking in their lives for the next few months, but the upside is that many who belong to this nervous sign will finally be getting the vacation or break that they need from office and deadline oriented stress. Pluto retrogrades are usually very hard on this introspective sign that does not like confrontations. However, being challenged about the past is exactly what is going to happen. The best thing for the Crab to do is be accountable for his or her actions and to stay clear of self-pitying behavior. Do not isolate if you feel hurt by what is said – this is a very good time for Cancers to get therapy for their problems. If you have been exaggerating or lying, then this type of thing is going to catch up with you while Pluto is retrograde. There also may be problems with a parent. Your challenge will be to expect others to nurture yourself for a change instead of always expecting others to do it for you. Pluto is not doing your sign many favors over the next couple of months. There is going to be challenges financially and emotionally. Pluto is a karmic planet and it could be that you are paying for some things you may have taken for granted over the last decade. Consider this time to be a learning curve that teaches you to be more appreciative of what you have and be less arrogant towards those who do not have. Pluto is a planet that has to do with emotions and you may feel seismic shifts and epiphanies over the next few months that at times may feel very uncomfortable. In fact, you may feel like you are going a bit insane as many people who you thought were familiar to you adopt some strange and provocative behaviors. If you need to drop a relationship during the next six months, it may be for the best in the long run. Pluto is one of your ruling planets and when it goes backwards, your whole world can be turned upside down. There may be nothing you can do about it except grin and bear it, as others challenge you about your behavior. It is likely that these issues will be of a romantic nature. The Pluto retrograde may have the effect of grounding you for a while. For the next six months, it will be harder for you to travel or have fun simply because duty will call. It is likely that you may have to work extra hours to take care of financial obligations to a family member. The Pluto retrograde is in your sign and you are going to feel its impact in your personal life. You are probably going to find yourself squabbling about property or an inheritance with siblings. You need to be careful of what you do or say during the next few months as damage done emotionally could be permanent. The Pluto retrograde always makes you feel cold and numb. You may detach yourself from others just so you can examine what may have happened to you in the past with more objectivity. Pluto’s moon Chiron will allow you to confront and resolve uncomfortable issues from your past. The Pluto retrograde may make you feel like retreating and focusing on something other than relationships for a while. You may also feel tired and frustrated. This summer is a good time for you to go on a spiritual retreat or get some psychotherapy.